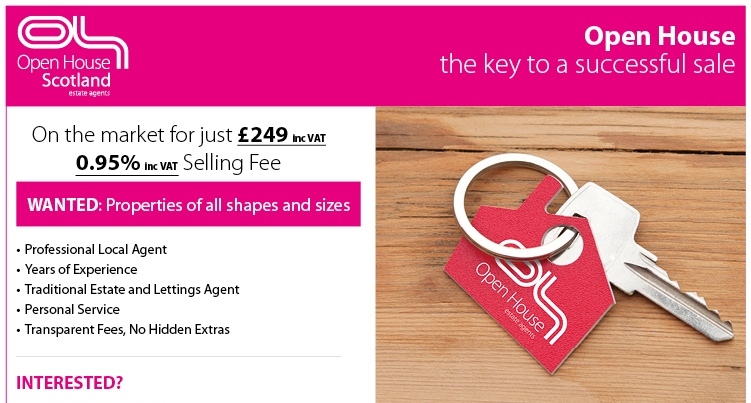 Open House - Glasgow Experienced Traditional Hybrid Local Agents Transparent Fees No Hidden Extras! National Coverage Marketing fee £249 inc vat Selling Fees from 0.95% inc vat Home Report and Conveyancing Fees Negotiated for you Branches available in Glasgow Edinburgh Aberdeen Call today for free valuation quote. Posted. March 2019 Manu was really helpful and I was kept updated throughout the process . Posted. February 2017 Manu was very pleasant to deal with and very helpful / flexible to guide us through the details. Highly recommended, will certainly be in-touch again.